The popularity and profitability of cannabis is spreading like a weed throughout the United States. The drug is now legal for medical use in 30 states and recreational use in nine states and the District of Columbia. Legalized cannabis could quite turn into a pot of gold for businesses as long as they follow the rules… but there’s one significant hurdle that keeps cropping up and flaunting green-focused entrepreneurs’ dope plans. Marijuana is still considered illegal at a federal level. This regulatory roadblock is impacting all areas of cannabis-related insurance including its transportation coverage needs. Getting the product from A to B is a risky prospect and an exposure made greater with the threat of seizure as a result of the drug’s federal illegality. Peter Schlactus, managing director of Risk Strategies’ transportation practice, explained further: “When it comes to moving cannabis, the usual transportation risks apply, such as product destruction as a result of fire or an auto accident. Theft is also a top concern because cannabis is a target commodity similar to cash, jewelry, narcotics, firearms and so on. With cannabis, there’s the additional risk of seizure because the product is still considered illegal at a federal level. 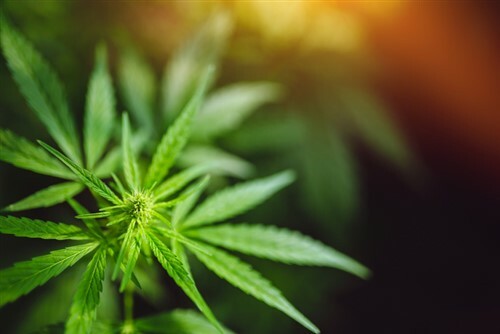 Insurers up for the challenge of quoting the cannabis cargo business tend to set strict underwriting standards, and many limit the scope of the geography they will entertain risks from in line with states where cannabis has been legalized. Likewise, individual states are working hard to minimize cannabis risks. No state wants to be tagged as promoting illicit interstate commerce, so very often each individual jurisdiction is mandating that cannabis be grown, produced, processed and distributed within state borders, Schlactus added. Another grey area transporters of cannabis need to consider is the risk management variables between standard courier delivery and armored delivery of the product. Transporting cannabis in bulk and in isolation calls for extra security measures like armored vehicles and armed drivers with special training. It also draws attention to the “target commodity”, whereas moving the product as part of a larger, more diverse cargo shipment keeps the cannabis low key and could reduce the risks. “The irony is this: from a risk management perspective, there’s a tension between instituting heavy-handed security measures along the lines of an armored car service to transport cannabis, and drawing attention to what you’re doing. You’re essentially announcing to the world that there’s something worth taking here,” Schlactus told Insurance Business. The two approaches to transportation risk management are very different and they both have applicability to aspects of the cannabis industry, according to Schlactus.